Our friend Jeff Soto’s (featured) just sent over photos of some of his escapades in Miami with his old graffiti partner Maxx242. In town for Art Basel Week (he is painting a mural for Wynwood Walls and is listed for Primary Flight), you can be sure the Sotofish sure knows how to have a good time (see last year). Stay away from the alligators this time! Categories: Contemporary Art, Fairs, Features, Low Brow & Pop Surrealism, Seen on Streets, Shows & Events. 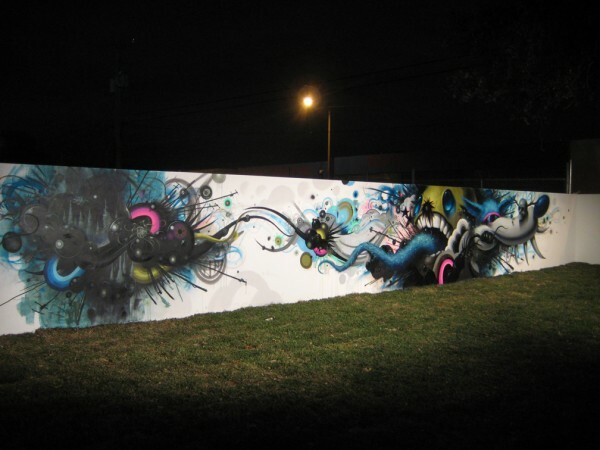 Tags: Art Basel, Art Basel Week Miami 2010, Art Fairs, Contemporary Art, Features, Jeff Soto, Low Brow & Pop Surrealism, Seen on Street, Wynwood Walls, Wynwood Walls 2010.